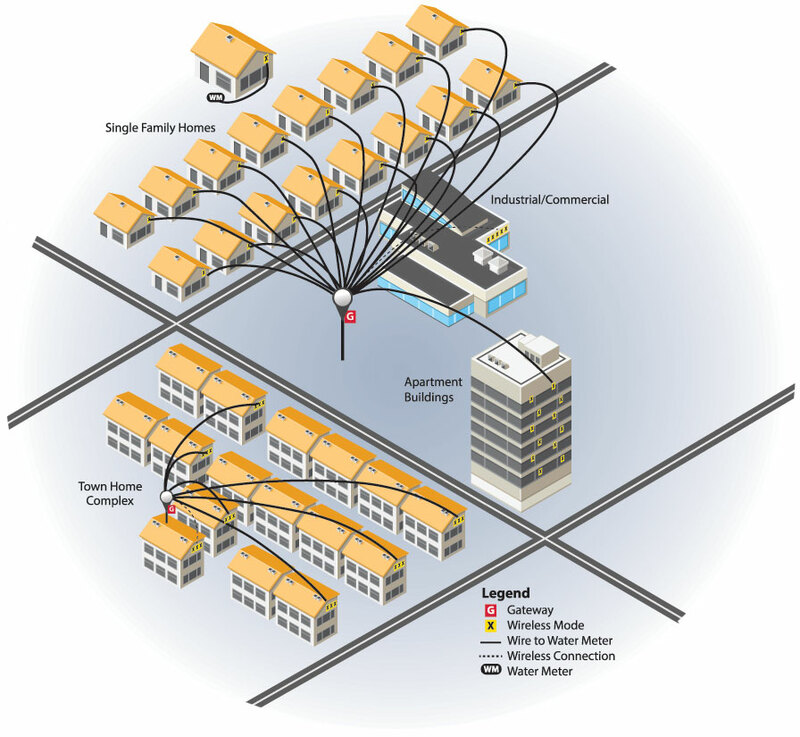 Each wireless node is directly connected to the existing meter already installed in a house or business. The nodes service all existing major meter manufacturers (Sensus, Badger, Elster, Neptune, etc.). A central gateway can be mounted on a local pump station or lamp post to collect hourly readings from each node (Each gateway services up to 1,000 nodes). CCE manages the operation of the network, performs VEE activities on each reading and ensures all data is received and re-transmitted to the local utility for billing and meter management. Billing and payment processing can be provided as options eliminating all IT requirements – no additional personnel. WATERfactor provides user warnings and GIS mapping of leak and water loss events so that they can be quickly identified for repair. The system includes all required capital equipment as well as wireless system maintenance and repair for the life of the system.